Australian actor Hugh Jackman has won international recognition for his roles in major films, notably as superhero, period, and romance characters. In November 2008, People magazine named Jackman that year's "Sexiest Man Alive." On 21 April 2009, Jackman had his hand and footprint ceremony at the Grauman's Chinese Theatre. 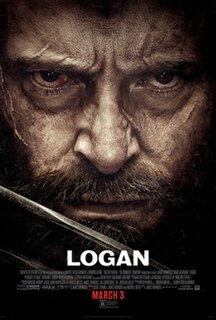 He was awarded Best Performance by a Human Male award as Wolverine and a joint award for Best Cast award during the 2009 Spike Video Game Awards for the game X-Men Origins: Wolverine. In December 2012, Jackman received a star on Hollywood's Walk of Fame. In 2019, after portraying Wolverine for 17 years in nine films, Jackman earned the Guinness World Record of the longest career as a live-action Marvel superhero. ^ "2013 Oscar Award nominees". Academy Awards. Archived from the original on 10 January 2013. Retrieved 12 January 2013. ^ Maddox, Garry (4 March 2000). "Black comedy the critics' choice". Sydney Morning Herald. p. 13. ^ Paatsch, Leigh (6 December 2007). "Leigh Paatsch's winners, grinners and sinners". Herald Sun. p. 64. ^ ""Entertainment" award goes to Hugh Jackman". Bambi Award. ^ "BAFTA 2013: Hugh Jackman says Jean Valjean was dream role". The Daily Telegraph. 10 February 2013. Retrieved 16 July 2015. ^ a b "18th Annual Critics' Choice Movie Awards (2013) – Best Picture: Argo". Broadcast Film Critics Association. Retrieved 16 July 2015. ^ "Empire Icon Award". Empire. Retrieved 16 July 2015. ^ a b "Hugh Jackman". Hollywood Foreign Press Association. Retrieved 16 July 2015. ^ Sharf, Zack (8 January 2018). "James Franco Wins Golden Globe for Best Actor in a Motion Picture Musical or Comedy". Indie Wire. Retrieved 8 January 2018. ^ The Associated Press (8 January 2018). "The Latest: James Franco wins best comedy actor Globe". The Washington Post. Retrieved 8 January 2018. ^ Huff, Lauren (8 January 2018). "Golden Globes: James Franco, Tommy Wiseau Accept Award for Best Actor for 'The Disaster Artist'". The Hollywood Reporter. Retrieved 8 January 2018. ^ a b "MTV Movie Awards : 2001". MTV. Retrieved 25 June 2015. ^ "MTV Movie Awards : 2004". MTV. Retrieved 25 June 2015. ^ "MTV Movie Awards : 2010". MTV. Retrieved 25 June 2015. ^ Bell, Crystal (6 April 2017). "Here Are Your 2017 MTV Movie & TV Awards Nominations: See The Full List". MTV. Retrieved 7 April 2017. ^ "Nickelodeon's Kids' Choice Awards: The Winners". The Hollywood Reporter. Retrieved 25 June 2015. ^ "2012 Favourite Male Action Star: Nominees". Retrieved 25 June 2015. ^ a b c "People's Choice 2010: Nominees & Winners". People's Choice. Retrieved 25 June 2015. ^ a b "People's Choice 2012: Nominees & Winners". People's Choice. Archived from the original on 3 March 2016. Retrieved 25 June 2015. ^ a b c "People's Choice 2014: Nominees & Winners". People's Choice. Retrieved 25 June 2015. ^ "Arts Beat". The Dallas Morning News. 16 June 2001. p. 43a. ^ "The Fountain". CinemaFantastique.net. Retrieved 25 June 2015. ^ "39th Annual Saturn Awards" (PDF). Academy of Science Fiction, Fantasy & Horror Films. Archived from the original (PDF) on 20 February 2013. Retrieved 25 June 2015. ^ a b "The 19th Annual Screen Actors Guild Awards". Screen Actors Guild. Retrieved 16 July 2015. ^ a b "68th Annual Tony Awards – Hugh Jackman Returns to Host!". CBS News. 11 February 2014. Retrieved 16 July 2015. ^ "81st Annual Academy Awards". Emmys.com. Retrieved 16 July 2015. ^ "Game of Thrones set to dominate Emmys after netting 24 nominations". The Guardian. 16 July 2015. Retrieved 17 July 2015. ^ "What's A Slammy?". WWE. Retrieved 22 February 2008. ^ Zinoman, Jason (17 May 2004). "Arts briefing – highlights: Drama Desk Awards". The New York Times. Retrieved 16 July 2015. ^ Ziffer, Daniel (10 July 2007). "Actors, singers, comics in the mix for Helpmann Awards". The Age. Retrieved 18 March 2016. ^ a b Scobie, Claire (18 December 2008). "Hugh Jackman: X appeal". The Daily Telegraph. Retrieved 16 July 2015. ^ Wargo, Theo (11 June 2012). "Hugh Jackman receives Special Tony Award". CBS News. Retrieved 16 July 2015. ^ "Past recipients". Theatre World Award. Retrieved 16 July 2015. ^ "Award history – Distinguished Performance Award". Drama League Award. Retrieved 16 July 2015. ^ Hernandez, Ernio (2 May 2004). "Wicked, Wonderful Town, I Am My Own Wife Top 2004 Outer Critics Circle Awards". Playbill. Retrieved 16 July 2015. ^ "Hugh Jackman | Artist". The Recording Academy. Retrieved 19 December 2018. ^ "Hugh Jackman: The Sexiest Man Alive". People. 19 November 2008. Retrieved 9 November 2013. ^ Mitchell, Peter (22 April 2009). "Hugh Jackman's prints recorded in cement". News.com.au. Retrieved 6 September 2010. ^ "Spike TV Announces 2009 'Video Game Awards' Winners". PR Newswire. 13 December 2009. Retrieved 11 December 2013. ^ "Hugh Jackman gets star on Hollywood Walk of Fame". BBC News. 14 December 2012. Retrieved 9 November 2013. ^ "Hugh Jackman surprised with record title to mark 17-year Wolverine career". Guinness World Records. 19 February 2019. Justin Timberlake is an American singer-songwriter, actor, dancer, and record producer. He is the recipient of 10 Grammy Awards, 4 Emmy Awards, 7 American Music Awards, 3 Brit Awards, 9 Billboard Music Awards, 11 MTV Video Music Awards and 29 ASCAP Awards. Overall, Timberlake has received 173 awards from 511 nominations as of February 2019. American singer-songwriter Taylor Swift has received many awards and nominations for her music work. Swift signed a record deal with Big Machine Records in 2005 and released her eponymous debut album in 2006, which was nominated for an Academy of Country Music Award. At the 50th Annual Grammy Awards, she earned a Best New Artist nomination. Her second album Fearless (2008) produced five singles, including "Love Story", "White Horse", and the MTV Video Music Award for Best Female Video-winning song "You Belong with Me". Swift was subsequently nominated for eight categories at the 52nd Grammy Awards, and won four of them, including Album of the Year, becoming the youngest recipient of the award. Fearless became the first album to win the American Music Country Award, Country Music Association, Academy of Country Music Award and Grammy Award for Album of the Year. Amy Adams is an American actress who has received various awards and nominations, including two Golden Globe Awards, four Critics' Choice Movie Awards, and a Screen Actors Guild Award. Additionally, she has been nominated for six Academy Awards and seven BAFTA Awards. In 2017, Adams received a star on the Hollywood Walk of Fame for her contributions to the motion picture industry. Glee is an American musical comedy-drama television series that has aired on Fox since May 19, 2009. It has been nominated for a variety of different awards including thirty-two Emmy Awards, eleven Satellite Awards, nine Golden Globe Awards, thirty Teen Choice Awards, three Writers Guild of America Awards, and three Directors Guild of America Awards. Amongst the wins for the series are a Satellite Award for "Best Television Series – Musical or Comedy", a Screen Actors Guild Award for Outstanding Performance by an Ensemble in a Comedy Series", and a People's Choice Award for "Favorite New TV Comedy". Justin Bieber is a Canadian singer and songwriter. Bieber's first full studio album, My World 2.0, was released on March 19, 2010. Bieber released his second album Under the Mistletoe in 2011. His third album Believe was released the following year. Bieber has received two Brit Awards, one Bambi Award, and numerous fan voted awards which include 12 American Music Awards, 20 Teen Choice Awards and 22 MTV Europe Music Awards. Bieber has also been voted as a winner for one Grammy Award, and 14 Guinness World Records as well. During her career, Demi Lovato has won over 60 awards, with 191 nominations, for her work in music, film, and television. Lovato has won one award at the MTV Video Music Awards, one award at the ALMA Awards, five awards out of twelve nominations at the People's Choice Awards, 2 awards at the Latin American Music Awards out of four nominations, and fourteen awards out of forty-eight nominations at the Teen Choice Awards. In 2014, Lovato was nominated for 6 World Music Awards and in 2016 she was nominated for a Brit Award with Olly Murs. Lovato received her first Grammy Award nomination for Best Pop Vocal Album at the 59th Grammy Awards for her album Confident. In 2019, she received her second Grammy nomination for Best Pop Duo/Group Performance. Lovato has received four nominations at the Billboard Music Awards and received a Billboard Women in Music Rulebreaker award in 2015. In 2018, Lovato was nominated for a British LGBT+ Award and an American Music Award. Among other awards, Lovato has received three ASCAP Awards and two BMI Awards for songwriting and composing. American actor Leonardo DiCaprio has won 54 awards from 161 nominations, and was named runner-up for 4 of those nominations. He has been nominated for six Academy Awards, four British Academy Film Awards and nine Screen Actors Guild Awards, winning one of each award from them and three Golden Globe Awards from eleven nominations. American Horror Story is a horror television series created and produced by Ryan Murphy and Brad Falchuk. The series is broadcast on the cable television channel FX in the United States. Described as an anthology series, each season is conceived as a self-contained miniseries, following a disparate set of characters and settings, and a storyline with its own "beginning, middle, and end". The Vampire Diaries is an American supernatural drama television series that premiered on The CW on September 10, 2009, and concluded on March 10, 2017 after airing eight seasons. Screenwriters Kevin Williamson and Julie Plec adapted the show from L. J. Smith's novel series of the same name. The series takes place in Mystic Falls, Virginia, a fictional small town haunted by supernatural beings. It centers on the love triangle between the protagonist Elena Gilbert and vampire-brothers Stefan Salvatore and Damon Salvatore. As the narrative develops in the course of the show, the focal point shifts on the mysterious past of the town involving Elena's malevolent doppelgänger Katherine Pierce (Dobrev) and the family of Original Vampires, all of whom have an evil agenda of their own. Jennifer Lawrence is an American actress who has received numerous nominations and has won multiple awards, including one Academy Award, one BAFTA Award, three Golden Globe Awards, four Critics' Choice Awards, two Screen Actors Guild Awards, seven MTV Movie Awards, five People's Choice Awards, and eight Teen Choice Awards. List of awards and nominations received by Robert Downey Jr. The following is a list of awards and nominations received by Robert Downey Jr. throughout his acting career. The following is a list of awards and nominations received by American actor, animator, writer, producer, director, comedian, and singer Seth MacFarlane. American actor and filmmaker Bradley Cooper has received several awards and nominations for his film and theatrical performances. 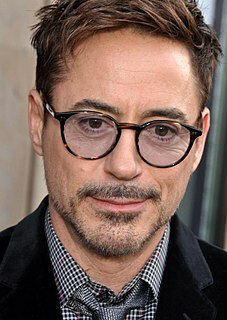 His major nominations include seven Academy Awards, seven British Academy Film Awards, five Golden Globe Awards, seven MTV Movie Awards, two Producers Guild Award, two Directors Guild Awards, one Writers Guild Award, seven Satellite Awards, five Screen Actors Guild Awards, three Billboard Music Awards, two Grammy Awards, and one Tony Award. Matthew McConaughey is an American actor and producer who rose to prominence with his role in the 1993 ensemble comedy film Dazed and Confused. The film was well received by critics. Since then, McConaughey has received various awards and nominations, including an Academy Award, a Golden Globe, a Screen Actors Guild Award, two Critics' Choice Awards, a MTV Movie Award and a People’s Choice Award. He has also been nominated for five Teen Choice Awards and two Emmys. 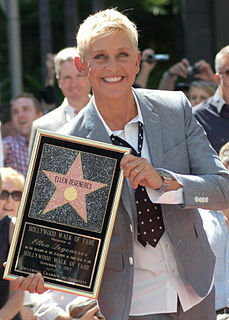 The following is a list of awards and nominations received by American comedian, television host, actress, writer, and producer Ellen DeGeneres. As of 2018, American actress, Emma Stone has won 31 awards from over 91 nominations, and was named runner-up for five of those nominations. She has been nominated for two AACTA International Awards, three Academy Awards, and four British Academy Film Awards, winning one from each. She has also won a Golden Globe Award, two MTV Movie Awards, a People's Choice Award, three Screen Actors Guild Awards, and three Teen Choice Awards. Emilia Clarke is an English actress who has received various awards and nominations, she has been nominated for three Primetime Emmy Awards and six Screen Actor Guild Awards. As of 2018, Clarke has won 10 awards from 29 nominations.